Set up eight to ten pucks as wide as the posts, out to the top of the face off circles. Goalie starts at the first puck facing at about a 45-degree angle. Goalie pivots back to the next puck and so on down to the post. Each pivot can be either shuffle, t-glide, butterfly or stacked pads. 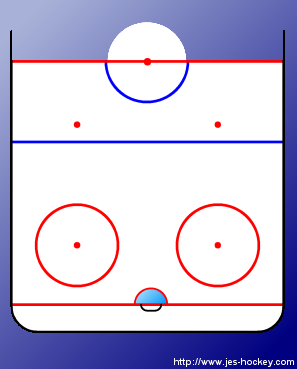 Optional: The coach can be at the dot and shoot as the goalie does the last pivot to the post. Drill should be done for no more than 30 seconds and always at as fast a pace as possible while maintaining proper technique.